ST. JOHNS - There's growing optimism that hydroelectric power from Labrador may soon be flowing through Quebec and into other markets in Canada and the United States. That was one of the revelations in a new interprovincial free trade agreement that was unveiled Friday. If such an agreement on electricity transmission were reached, it would open the door to huge markets for Labrador hydroelectric power, including excess power from the controversial Muskrat Falls Project, and possibly end a bitter stalemate that has long soured relations between the two neighbouring provinces. "The best-case scenario is we move electricity through Quebec and into markets. It could be Ontario. It could be the U.
S. It could be anywhere," Ball said Friday. The new trade deal sets out specific rules around the transmission of electricity across provincial borders, and are based on open access and non-discrimination rules in the United States. Those rules allow Quebec to freely export electricity from the Upper Churchill and other power sources into the U.S., and Dwight Ball says this province wants the same rules to apply to power from the Muskrat Falls project, and potential projects such as Gull Island. 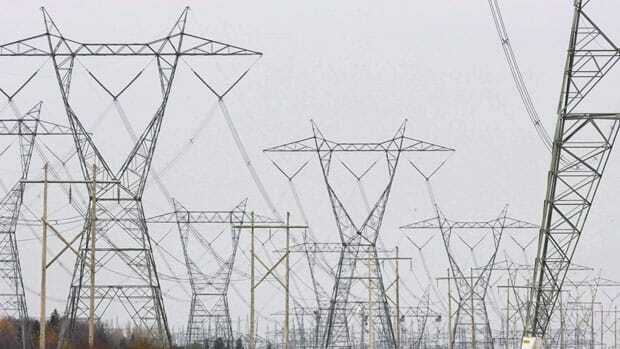 As part of the trade talks, Ottawa and other provinces asked that Newfoundland and Labrador and Quebec engage in talks about electricity transmission, including what are known as wheeling rights. Ball said that will happen. "I'm not here to pre-judge what the outcome will be. All I'm saying is if there's an opportunity to bring benefit to our province we want to be at that table," said Ball. "Right now we're seeing support from other provinces. We're seeing support from the federal government. We believe in using the resources that we have to support a national policy on green energy. And if that leads us into a development in Labrador, so be it. That would be a good thing for our economy. But we have to get at that table first." The new, open access rules will come into force if either of the two provinces sign off on them within 36 months of the trade deal coming into effect on July 1. It's nearly a certainty that the Ball government will endorse such a framework, since the province has long argued for permission to use excess transmission line capacity in Quebec to send Labrador power to other markets. "You could argue that the U.S. rules would apply right now, but we all know that's not happening in the way we'd like to see it happen," said Ball. "So we're going to get at the table and see if we can get that access more streamlined." As part of the trade deal, both Newfoundland and Labrador and Quebec will maintain their monopolies over power production and the right to sell it, which means Labrador power can only be transmitted through Quebec.